Hummus Republic in Rittenhouse is throwing a grand opening party with $1 deals. 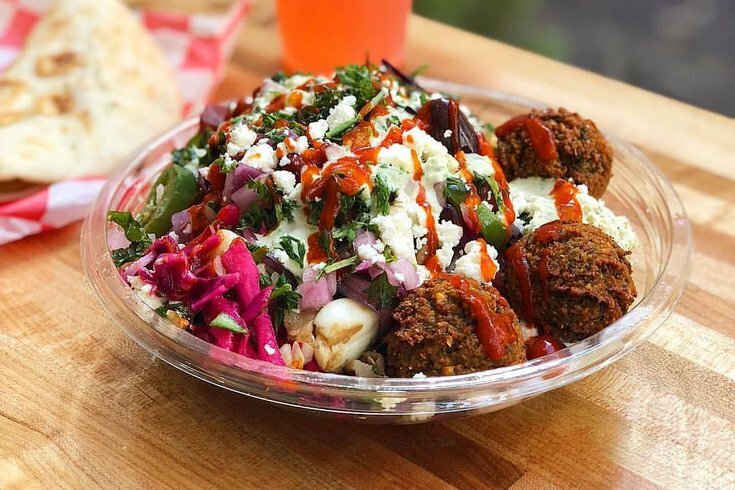 Hummus Republic, a California-based restaurant chain that serves fast-casual Mediterranean food, is having a grand opening party on Monday, Oct. 1 in town. The party is actually happening months after the Rittenhouse eatery opened. You may have passed the small shop once or twice before on 18th Street. If you walked by but didn't step inside, you should definitely consider checking it out for lunch on Monday – this deal is too good. Hummus Republic announced on Facebook that it will offer $1 salads, $1 bowls and $1 pita wraps from 11 a.m. to 1 p.m. The eatery lets customers build their own. You first pick a base, then add hummus or spreads like zesty feta dip, then choose proteins, veggies and other fillings to make up the bulk of your meal and finally add a sauce on top, such as the garlic jalapeño tahini. What you choose to get is totally up to you.